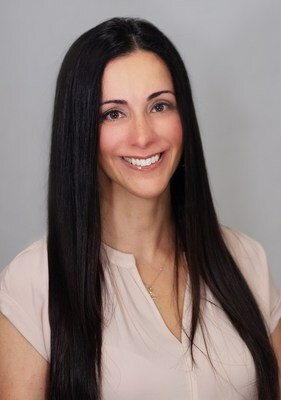 MADISON, Wis., April 4, 2019 /PRNewswire/ — DotCom Therapy, Inc., an industry leader in teletherapy for speech, occupational, and behavioral health services, today announced the appointment Dr. Sanaz Cordes as its new chief executive officer. Dr. Cordes brings more than 16 years of health and health tech experience to DotCom Therapy, along with a proven track record of growing sales and revenue. Prior to joining DotCom Therapy, Dr. Cordes was the founder and principal at Value Prop Shop, a consulting firm focused exclusively on working with health tech startups to strategically scale and grow revenue. She also served as the chief operations officer at healthfinch, a Madison-based tech startup, overseeing sales, marketing and internal operations. Previous roles also include chief development officer at Cogent Health in Nashville and director of strategic partnerships at Zynx Health in Los Angeles. Dr. Cordes began her career as a pediatrician and medical director for Providence Health and Services and holds an MD from UT Southwestern Medical School. Since its inception in 2015, DotCom Therapy has experienced rapid market expansion with more than 115 company-employed therapists providing teletherapy to students and patients across 25 states and six countries. The funding from HealthX Ventures will support further development of DotCom Therapy’s technology, the addition of new teletherapy services and continued market expansion. DotCom Therapy is the recipient of several awards including Entrepreneur 360 Best Companies and the Wisconsin Innovation Award. Through collaboration with leaders in the education and healthcare space, DotCom Therapy continues to create solutions that improve the quality and experience of teletherapy services. Founded in 2015, DotCom Therapy is the leading teletherapy provider offering unparalleled speech, occupational, and behavioral therapy services via a face-to-face, online platform. DotCom Therapy’s outstanding team of therapists, combined with an intuitive platform, provide an exceptional user experience for their clients. The company is committed to making high quality therapy available to everyone, everywhere. Learn more at www.dotcomtherapy.com. HealthX Ventures is a digital healthcare-focused venture capital fund based in Madison, Wisconsin. HealthX supports early stage, high-growth companies who are making healthcare safer, more efficient, and more affordable by delivering easy-to-use, cost-effective, and scalable solutions to the market.